Posted On: August 16th, 2018 Filed Under: Uncategorized No Comments on Angels Stand Up and Sound Off! The Surf City Car Show and the Surf City Sound Off is just around the corner, and this year we have something special for our neighbors nearby! That’s right. It’s time again for our celebration of classic cars, trucks and bikes as well as the loudest and best sounding vehicles in the West (country?)! Cars are better at the beach and on August 25th and 26th, Chinook Winds will have some exciting, friendly competitions to see whose rides look the best and sound the best. This year we’ve added a fun giveaway to let all of our neighbors in on the Surf City Sound Off fun! If you live in the greater Lincoln City area and hear the Sound Off every year, we have an exciting opportunity for you. Last year Chinook Winds helped raise more than $8,000 for Angels Anonymous during Surf City Sound Off! Angels Anonymous is a nonprofit that strives, “to provide immediate and basic services to those in need in the greater Lincoln City area, while complimenting existing services. The desire of Angels Anonymous is to provide a service that is immediate and to help those we serve to find solutions for long-term problems”. This year Chinook Winds would like to invite our neighbors to join us in bringing awareness to this great charity! We know the Surf City Sound Off is a flashy event that brings new sounds to the coast. So, this year we would like to know what our neighbors will be doing during the Sound Off. Chinook Winds will be giving two lucky winners who share their stories with us a weekend away to stunning Central Oregon for next year’s event, or any other time of year you may choose! 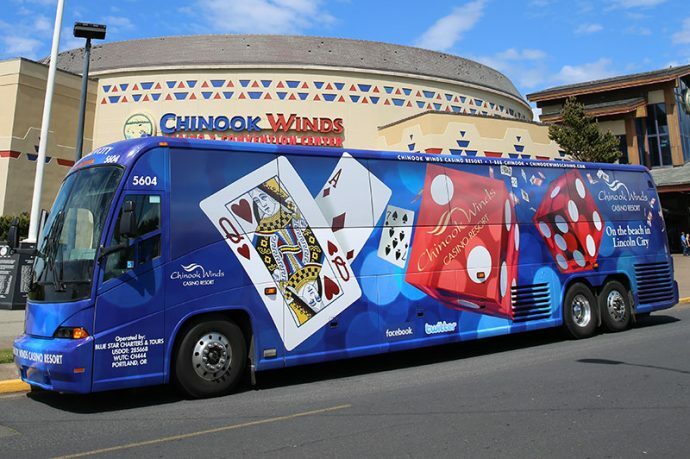 First, you’ll need to like Chinook Winds Casino Resort on Facebook, Instagram, or Twitter. Then, when you hear the Sound Off on August 25th and 26th, post a photo or video of what you were doing when you heard the sounds. We want to see everyone’s posts, so to make sure your post is seen and eligible, it must be public, with a caption, and tagged with our hashtag #AngelsSoundOff. The winners of the Angel Sound Off Giveaway will be selected at random and announced on social media the following Monday, August 27th, 2018. Chinooks Winds will be giving away a grand prize and a runner-up prize. The Grand prize includes a weekend getaway to beautiful Central Oregon, with a stay at the Sunriver Vacation Rentals by Meredith Lodging, four High Desert Museum admission tickets, and a one-hour family photo session with Kassia Nicole Photography. The Runner-up will receive a two-night stay at the DoubleTree by Hilton Hotel in the heart of downtown Bend, and a $200 gift card for sunglasses at A to Z Eyeglass Repair.